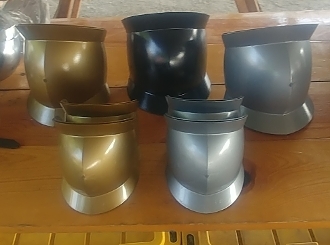 These are knee cops that are made of high impact plastic and are very tough and stiff, and negligible weight, but their gloss gray color and classic Gothic shape will look excellent pointed to your doublet. Sold in pairs. Now available in Gray, Gold and Black.